P.O. Box 932, 4000 DURBAN. 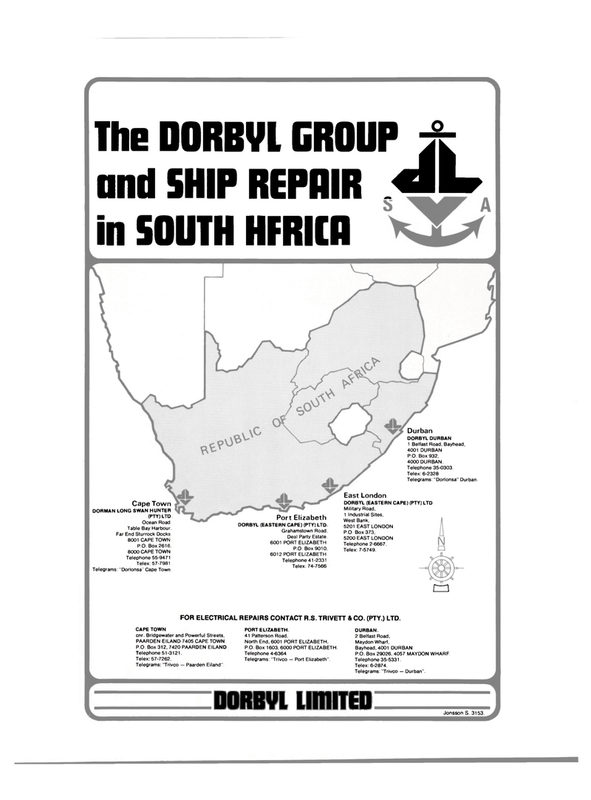 DORBYL (EASTERN CAPE) (PTY) LTD.
FOR ELECTRICAL REPAIRS CONTACT R.S. TRIVETT & CO. (PTY.) LTD.
CAPE TOWN cnr. Bridgewater and Powerful Streets. Telegrams: "Trivco — Paarden Eiland"
North End, 6001 PORT ELIZABETH. P.O. Box 1603, 6000 PORT ELIZABETH. Telegrams: "Trivco — Port Elizabeth".